Here is video from the Miami International Boat Show of Regal Boats unveiling a new sport yacht: the 40 Sport Coupe. According to the presentation, the 40 represented one foot for every year Regal had been in business. 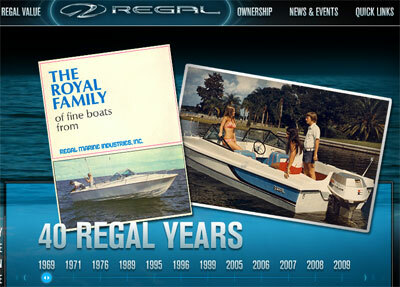 The Regal Boats homepage also features an overview of the last 40 years of Regal’s history.